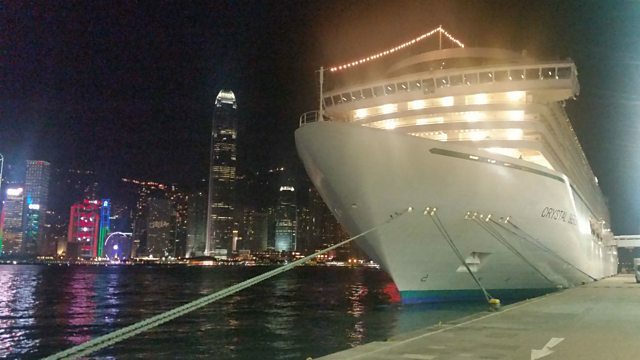 China is a huge new market for the cruise industry. Philip Dodd cruises across the South China Sea to find out how the Chinese have taken to life on board ship. Boarding in Shanghai Philip meets the passengers and crew who will sail the coast of China down to Hong Kong. The Chinese want different things from a cruise from Westerners – they don’t want to sit in the sun. What they do want though is more of a sense of community on board. Ships are now being fitted especially for the Chinese market with these requirements in mind. As well as Asia, Philip looks to see if there is an appetite for cruising on the continent of Africa. He’ll be talking to the market specialists in South Africa where the numbers are on the rise.